Some of the highest fees in the medical marijuana industry did little to deter scores of entrepreneurs from applying for business licenses in Maryland, suggesting that the state could become one of the most lucrative MMJ markets in the country. Maryland’s Medical Cannabis Commission received roughly 350 applications by the Nov. 6 submission deadline for licenses to cultivate, process or dispense medical marijuana. The state will release the official full tally later this week. So what’s the attraction in Maryland? A broad set of qualifying conditions that will make for a large patient population – one that needs to be served by a small number of cultivators. 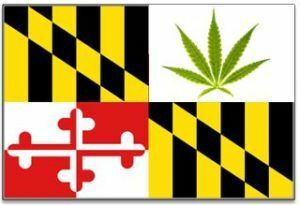 Maryland is slated to give out 15 cultivation licenses and 94 dispensary licenses – two for each of its 47 state senatorial districts – as well as an unlimited number of licenses for processors, testing labs and dispensary and cultivation agents. An annual growing license costs $125,000, while a dispensary license is $40,000. But that’s small change to most of the applicants, said Kayvan Khaltabari, principal of Denver Relief Consulting, a dispensary and consulting firm that advised two applicants who each filed for cultivation, processing and dispensary licenses in Maryland. Khalatbari said Maryland’s medical marijuana market will be similar to Colorado’s, which has about 109,000 medical marijuana patients. Like Colorado, Maryland includes chronic pain as a qualifying condition. “Chronic pain is a catch-all,” Khalatbari said. If one considers that about 90% of Colorado’s medical marijuana prescriptions are for chronic pain, it’s reasonable to expect that Maryland will have about 125,000 medical marijuana patients. According to state guidelines, Maryland medical marijuana patients are permitted to possess up to 120 grams of cannabis flowers at a time and can consume up to 36 grams of THC extract per month. While a list of applicants has yet to be made public, Khalatbari said it includes some big names in the cannabis industry, such as Cresco Labs, PharmaCann and Green Thumb Industries, all based in Illinois. Medical cannabis could become available to patients in the second half of 2016, according to the Maryland Medical Cannabis Commission. Whoever gets a “stage one license” will have one year to acquire real estate, raise capital, hire employees and take other steps to request a final inspection and obtain a “formal” license. There were some jurisdictions, like Washington County, where no companies applied for dispensary licenses. The Towson University Regional Economic Studies Institute will evaluate the applications, with names of applicants redacted, then forward its findings to the commission for a final decision early next year. In 2013, Maryland lawmakers approved a medical marijuana program that envisioned academic institutions distributing the cannabis, but no university volunteered to participate. State legislators revised the program in 2014. Maryland has always had curupt greedy Politicians. There goes entrepreneurship. Only big corporations will be able to afford to get in the business. That is counter to what it should be. Not entirely true Shelley. In order to put a competitive app in the cost is less than 100k. If you know how to approach VC’s then you have a chance. Maryland made this process as fair as possible. It’s not Ohio where the sold licenses to the highest bidder.